Hey my beautiful people! Do you anticipate this being a boring weekend? Well, worry no more! I wanted to drop in and give you hopes of being productive by providing five weekend projects. These projects are not only fun and creative, but they can also give your home an instant facelift! Wanna see? Well, here we go. 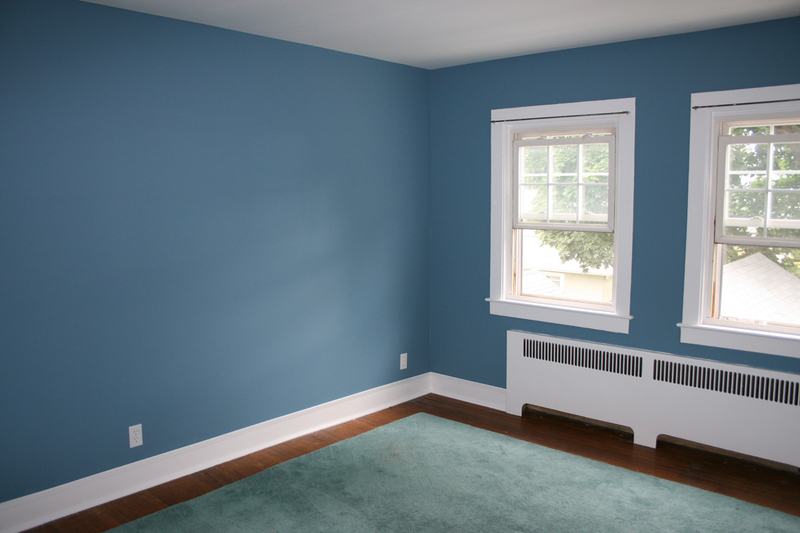 How about taking a few hours and updating a room with new paint? There are so many fun colors to choose from, and it’s so easy to do. Just head to your local home improvement store (heck, even Walmart), and get a paint color of your choice, a paint roller & paint brush, painters tape (I recommend Frog Tape), painters tray, and a drop cloth (or use an old sheet at home). 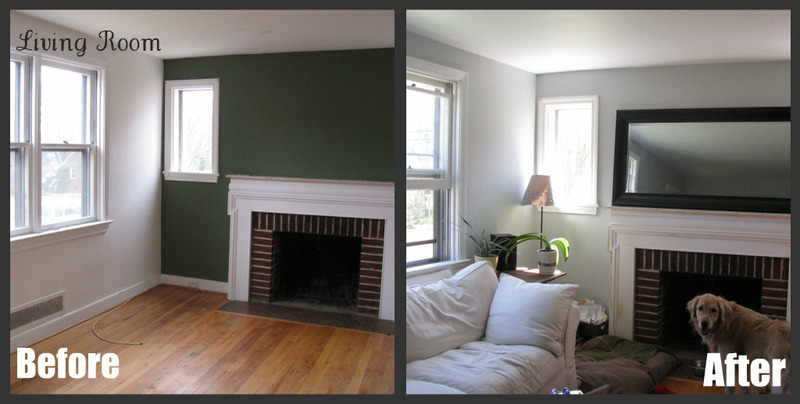 This quick makeover can take a room from sad and dreary, to bright and cheery (haha that rhymed) for cheap. Step out of your comfort zone and pick a color that represents your personality!!! Got a bunch of photos lying around in shoeboxes, old photo books, or if you are like me, got some hanging around on your camera’s memory card? Or how about an empty wall that you can’t seem to figure out what to do with? How about displaying displaying those photos for the world to see, well, at least the folks that visit your home. Stop by Ikea, or Michael’s, or Hobby Lobby, or even Dollar Tree. Pick up some frames and create a focal point in any room with a cool gallery wall. How you set them up is your choice! There are no rules, thats the beauty of it. Got a drawer that looks like this?! Scary is right! Well, since you are lounging around looking at Lifetime all day…wait, just me? Okay, well since you are lounging around doing….how about tacking this scary abyss that many people reference as their junk drawer. I KNOW I need to tackle mine! There are several drawer organizers on the market that can help us to create a neat, clean system for keeping our “junk” drawer in tact. Once everything has a “place” it’s hard to mess it up. These white trays can be found at Target, Walmart, or Dollar Tree. Or how about using an old silverware organizer to tackle this task. Those are DEFINITELY sold at Dollar Tree. These acrylic containers can be found at The Container Store, Bed, Bath & Beyond, or even Walmart. I have always be a fan of a simple, clean drum shade. They are an easy way to modernize a space, without going tooo far into space. If you are a fan of drumshades, but not interested in shelling out $100+ to have one in your home, then this project is for you! For under $40. And yes, in just one weekend. Here is a tutorial. Or how about this baby! 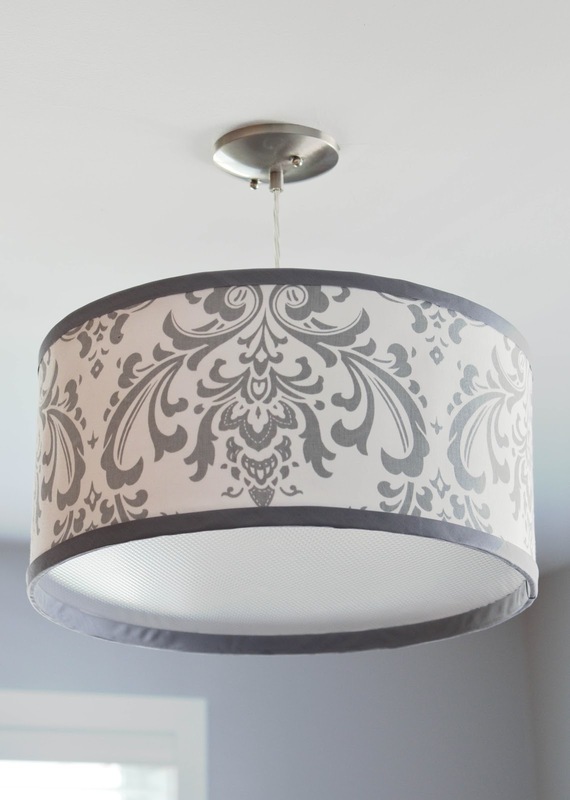 These drum shades can be customized to fit your personal style, but aren’t they just lovely! My pantry is definitely on my to-do list (among a million other things) to tackle. 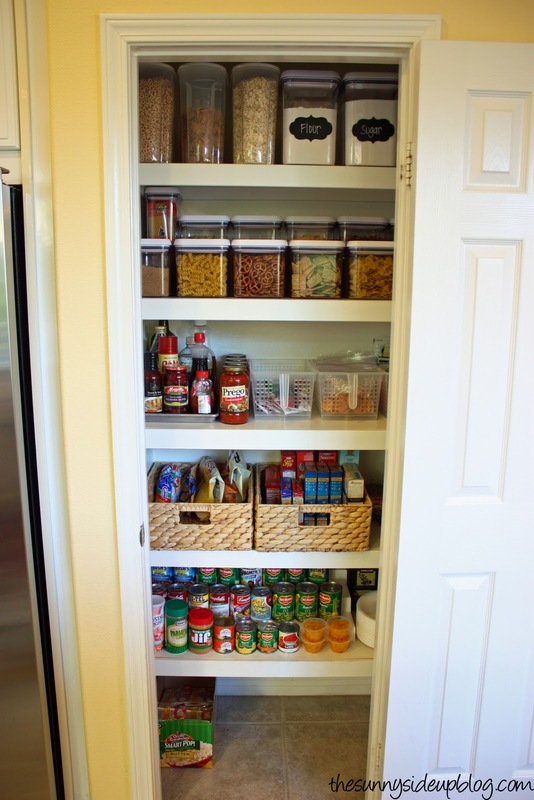 I just love how a pretty pantry looks! 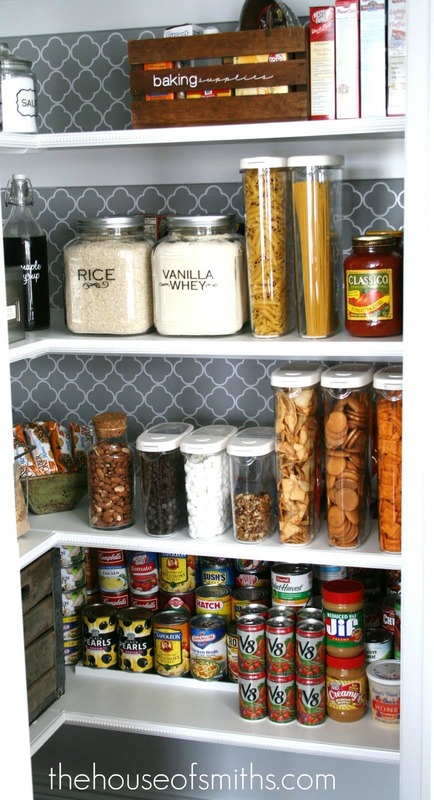 Many of the containers that you can use to organize and beautify your pantry can be found at your local Dollar Store. Many of the larger containers with snap on or screw on lids can be found at Hobby Lobby during their 50% off sales, or you can use the trusty 40% coupon, bringing them to around $2-$5 for each container depending on the size. Where to begin you might ask? Well, you can start by emptying EVERYTHING out of the pantry, getting rid of expired canned goods and other items, wiping down the shelves, and then get to the pretty! Do you plan to take on any of these projects this weekend? Let me know how they work out!! Here’s to a fun and productive weekend!!! Hi Jen! Thanks for stopping by and checking me out and thanks for following!